We talk a lot with our students about how they present themselves online. But what about us? Family Online Safety Institute created a checklist to help adults stay safe online. 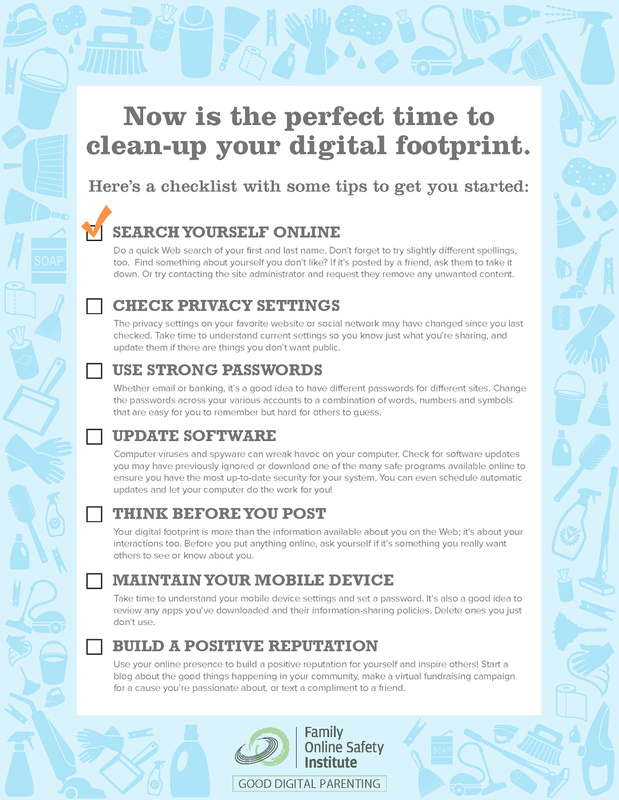 Below are some additional resources to help in cleaning up your digital footprint. The best password is one that you can easily recall and type, something that an acquaintance could not easily guess. StrongPasswordGenerator.com is a neat tool to help create a stronger password. Remember that privacy does not exist on the internet, even "private" accounts. Also remember that just because a post or image is deleted does not mean that it is really gone forever. I recommend reading FastCompany's article "How to Avoid Social Media Regret" which includes some great tips for ensuring your online presence reflects your offline professionalism.